Computer Master sells, services, supports IBM, HP, DELL and primarily LENOVO systems. 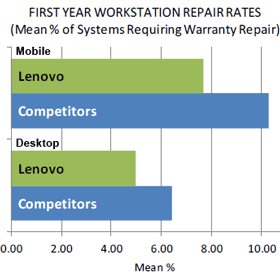 Lenovo Authorized Warranty Service Provider. Balanced Design. Built for Business. For cloud deployments, database, or virtualization workloads, trust ThinkServer rack servers for the right balance of performance, power-efficient designs, & extensive standard features that deliver an impressive ROI. Power your line-of-business applications, & easily run your critical workloads. ThinkServer tower servers provide the performance, reliability, & easy-to-use tools to power your file/print and point-of-sale workloads. Perfect for small databases, basic virtualization, & office applications. Compact & whisper-quiet—ideal for distributed environments or remote offices. With the 30 series, Lenovo strengthens its award-winning workstation platform with the latest generation of high-performance Intel® Xeon® processors – offering unmatched multicore processing efficiency – combined with powerful graphics from NVIDIA. And with faster memory performance and transfer rates, our workstations empower professionals to do more – fast. Also, they’re now more energy-efficient than ever and are made with up to 65 percent recycled materials, making them eco-friendly as well as professional. We’ve been in I.T. for well over a decade!